Nielsen this morning announced a deal with Comcast to incorporate some of its digital set-top box data into Nielsen’s local TV audience measurement service. 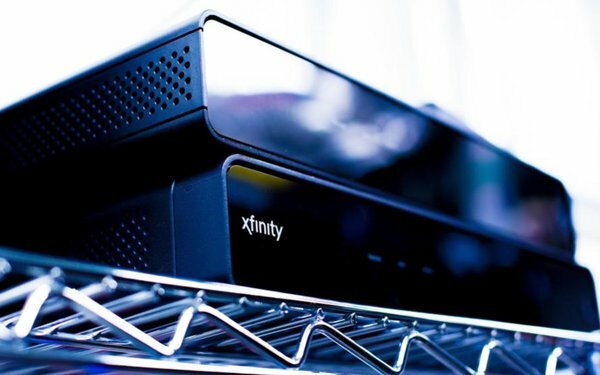 “With this agreement, Comcast becomes the fourth major cable or satellite provider whose non-personally identifiable TV viewing data is being integrated with Nielsen’s comprehensive panel data,” Nielsen stated about the deal -- but it did not disclose how much of Comcast’s data would be incorporated into its local ratings reports, or how it would be represented in its mix of data. Nielsen has long been criticized for antiquated methods for measuring local TV audience estimates, especially in non-metered markets that still rely solely or predominantly on paper diaries to estimate persons viewing. Nielsen said it would begin incorporating Comcast’s set-top data with data from “other providers and Nielsen’s local meters” into its local TV ratings in 2018. “The data will be used to report audience viewing trends on an aggregated basis,” the company stated. 9 comments about "Nielsen To Incorporate Comcast Set-Top Data In Local TV Ratings". Ed Papazian from Media Dynamics Inc, November 9, 2017 at 10:50 a.m.
Nielsen seems to be cobbling up a Mulligan's Stew of samples and methodologies in its local market TV ratings. I wonder if anyone is asking questions about the validity of these melded components, like how representative of the true local market universes these composite samples are, what weighting schemes are involved, to what extent the samples or panels are turned over, how replacements are obtained, how it is determined who was "viewing" from set-top-box set usage information, etc. etc? Or is getting "data" ---as so often seems to be the case--- all that matters? Jack Wakshlag from Media Strategy, Research & Analytics replied, November 9, 2017 at 11:42 a.m. The process is always reviewed by MRC and there is no reason to hide anything from clients. This opens the way for all kinds of new approaches to advertising. Nielsen’s plan has always been to combine settop data like this with a representative panel. Others use only settop box data, which can’t be better. While I agree the devil is in the details, fragmentation requires us to move beyond sampling alone. Industry can’t and won’t pay for random samples large enough to do what is required. Ed Papazian from Media Dynamics Inc, November 9, 2017 at 12:08 p.m.
Jack, I'd be interested to see whether the MRC offers any opinions regarding the acceptability of melding all of these data sources into a single "sample" and also whether the MRC endorses the practice of "transporting" viewer-per-home---or set---factors from peoplemeter panels in one city to a nearby smaller market on a show by show basis. I realize that the stations in many markets feel that they can't afford larger "pure" samples, but I'm also concerned that most of the users of the resulting, melded, ratings do not appreciate what they are based on or the statistical assumptions underlying the methodology and will use them---down to the last decimal point---as if they were gospel. I know that I'm in the minority on this one---a very small minority----so I don't expect that anything will change. However, bringing it up from time to time may cause a few people to think about such questions---even if there is no prospect for doing it the best way. I think that's a good thing. Jack Wakshlag from Media Strategy, Research & Analytics replied, November 9, 2017 at 12:32 p.m. There is the ideal and perfection, and there is the value of just getting better. For me, the current system that uses smallish samples and in many places still uses diaries is not sustainable. Too many zero cells and unstable estimates. It’s good to be reminded of what we may be sacrificing, but there are always trade offs. The status quo is not acceptable. What Nielsen is proposing has the potential to be much, much better for growing the business. Agree with you that there are lots of ways to get it done, and we should choose what’s best. Nicholas Schiavone from Nicholas P. Schiavone, LLC, November 9, 2017 at 1:39 p.m. It appears ... APPEARS ... conflict of interest is the name of the ratings game. 1. How can NBC be hosting an industry conference on ratings reform when Comcast is supplying sample information to Nielsen? 2. How can Jack Wakschlag spring to Nielsen’s defense when it looks like it’s making a Salmagundi Salad of a measurement service. If ... IF ... Jack has been on Nielsen’s (or the MRC’s) payroll in the last year or two or received any travel and expenses, then this needs to be publicly disclosed. Regardless, if what Jack says is true, we need to hear it from George Ivie ... or George needs to distance the MRC from this seemingly ... SEEMINGLY ... suspicious behavior ... on the surface ... by Comcast and Nielsen. Has the Media Ratings Industry met the Trump era? Jack Wakshlag from Media Strategy, Research & Analytics replied, November 9, 2017 at 2:13 p.m.
Salads may be tasty and good for you Nick. Many have points of view just like you or me or Ed. Mine have been consistent and have tried to move the business in ways you may disagree with, but do not question my integrity. You have known me too long for that. Instead of denigrating any and every idea you do not like, propose what you would like to see and support it with facts. What would you want to see for local market measurement. If you have a good idea I am happy to hear it. Others would be too. Nicholas Schiavone from Nicholas P. Schiavone, LLC, November 9, 2017 at 3:24 p.m. I do not want to express or imply the questioning of anyone’s or any organization’s integrity. You know me too long to question my motives in simply commenting. Perhaps I need to strive to write more like Ed. To that end, Ed’s concerns still stand in my mind. It is difficult for me to find any redeeming featire in a plan that calls for Nielsen to use a client’s tuning devices to measure competitive viewership ... locally or nationally. Moreover, I spent over a decade working on a model for better measurement. There comes a time to stop wasting time and to invest one’s time and talent where it is wanted and does measurable good. No regrets, my friend and thanks for commenting on my comment. Status quo ante Salmagundi. Joe Mandese from MediaPost, November 9, 2017 at 3:32 p.m.
Nicholas Schiavone from Nicholas P. Schiavone, LLC, November 9, 2017 at 4:05 p.m.